RIP software is self-developed called “LabelMeister RIP”. It allows you to customize your label data by high quality and in a short time. Simple screen and easy operation support the data output efficiently. Each job is displayed as thumbnail images. You can easily manage your jobs. If there are similar jobs, you can put a title on it or can tell the output date and time or folder name. Also, each job can be sorted item tag by item tag (such as out put date). A reoutput file can be created and saved when you output a job. This enables the repeat order to be output in same condition quickly and easily. The LabelMeister RIP supports major file formats such as EPS, PS, AI and PDF, and unique format of the Label Bijin software application. By selecting the type of paper or film while configuring output, the particular profile will be selected automatically to help maintain the printing quality. You can add timing marks to the data while configuring output. 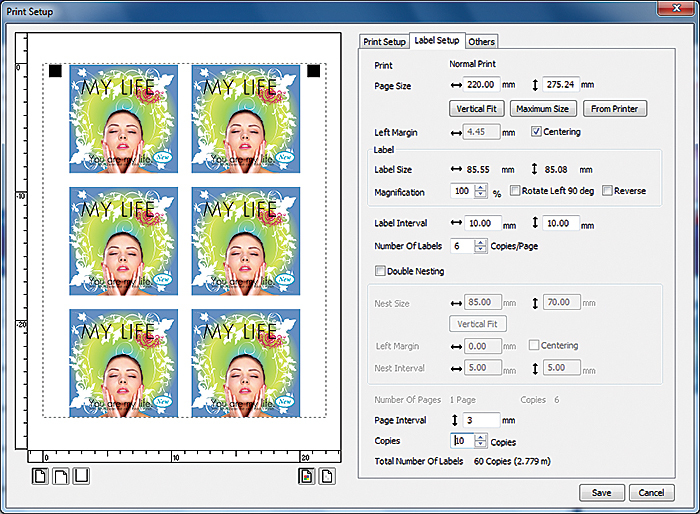 It enhances the capability of compatibility with additional printing on pre-printed labels or finishing process. The data can be output directly by dragging and dropping into the hot folder. The output from application software "Label Bijin" enables elaborate imposition easily and enhances the operatability. Copyright © 2014 IWATSU ELECTRIC CO.,LTD all rights reserved.